Bought this unit from Dealer, AVScience, and am now getting around to setting it up. Started with the instructions in Sec tion 2.2 of the user manual, first checked/updated/installed all software listed under 2.2.1. Next it tells me to go to the "user downloads" section and then navigate to the 88a section where I am supposed to find two zip files to be downloaded and run on my computer. Very simple problem: No software is listed for download in the DDRC 88a section, at least none shows up on my screen. So I can't even star with the utility software needed to check firmware and get the activation code for the calibration program. Also when I click on ANY of the headings, no software appears under those either. It appears I'm being blocked from even seeing the software available let alone downloading it. UPDATE: Found another posting on this board that suggests the problem is that my account is not "enabled" to allow seeing and downloading my software. I sent a help request to the company with my sales receipt attached. I had the same problem this past weekend setting mine up. 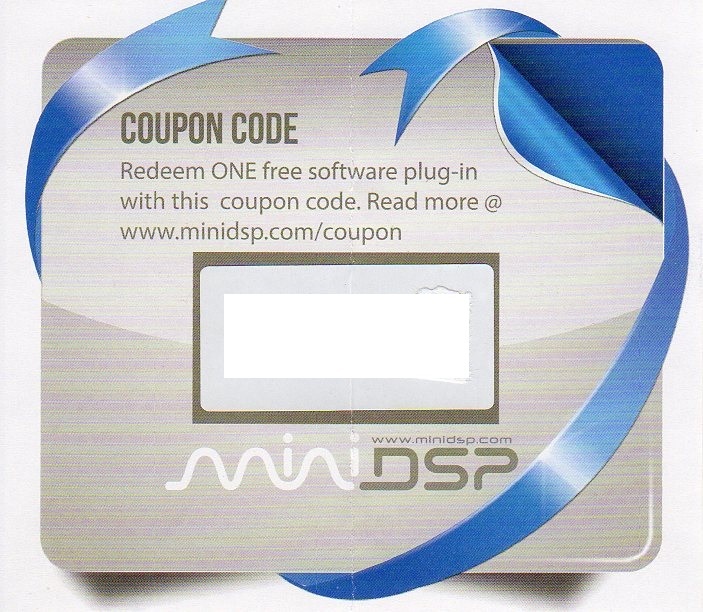 Go the website listed on the coupon they sent with the unit . Enter in the code just as it's shown and activate it. Once activated you should be see the software listed under the DDRC 88 section. The software did a FANTASTIC job on my system. The DDRC 88 is an amazing piece of work..
Last Edit: 3 years 5 months ago by rickcathey. Unfortunately no coupon came with this unit from AVScience. I'll have to hope they see this soon and send me that information. I did send them a copy of my receipt from AVScience and also AVScience is an official dealer. I have high hopes for it as my room isn't optimal. While I have you here, how did you deal with the requirement of short USB cables? My equipment is in front of the room but the seating area where I have to make the measurements is like 14 feet back. I was thinking to try using long audio cables initially to get the unit closer to the microphone. I have a 20x20 room so I had to buy two extension cables. One for the usb of the 88 to pc and one usb repeater cable to my mic. I bought these and they both worked great.. I did and Mike at AVScience is handling it for me. Just a short delay. We're used to that in Mexico (I live south of Guadalajara) and have figured out a work around for the short cables. You would think these guys would look at their own diagrams and realize they need to offer an option for longer cables.